Adjacent to the Second Bank is Library Hall, at 105 South 5th Street. This 1959 reconstruction of the 1790 building was originally built for the Library Company of Philadelphia. 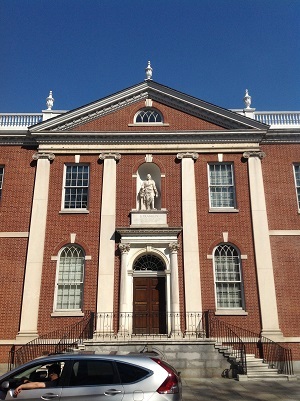 It is now occupied by the library of the American Philosophical Society. 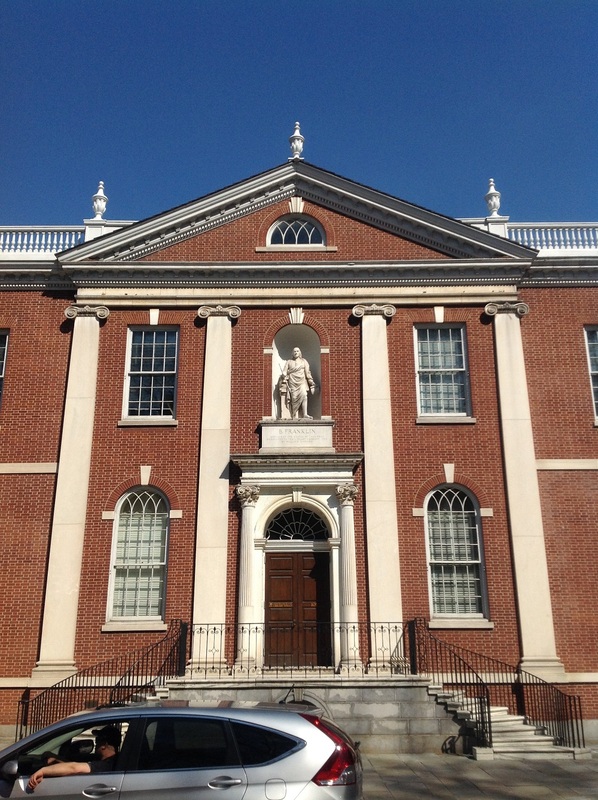 Founded by Benjamin Franklin in 1743, the Philosophical Society's library contains an unrivaled collection of Franklin's books and papers as well as those of other great scientists from then until now. Washington, Jefferson, Adams, Hamilton, Thomas Paine, Caspar Wistar, David Rittenhouse, Baron von Steuben, the Marquis de Lafayette and James Wilson were members of the Society.